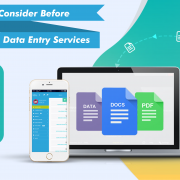 There are many other reasons why you should outsource this task to reputable data entry service providers like Infognana, who with the experience they have can provide high-quality and efficient data entry services within a quick turnaround time. Data security is one thing that we take very seriously. Our security management systems ensure all data handled by us is 100% safe. We are an ISO /IEC 27001:2013 / ISO 9001:2015 certified company, so any data sent or received will remain secure. Apart from this, NDAs are also signed between every client and the management to make sure there is total data security throughout the process. 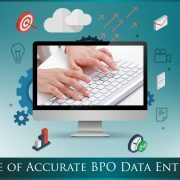 Outsourcing data entry services to providers with lots of experience means that they will have skilled professionals who will be capable of doing large volumes of work in a fast turnaround time. This way, your employees can focus on other business activities and spend their time on improving the growth of the business. 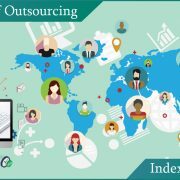 When you outsource data entry services you will see an increase in the overall efficiency and productivity of your employees. Leaving data entry tasks to experienced outsourcing companies, allows you the time to manage your business and not overwork your employees whilst getting high-quality data entry done within a quick turnaround time. At Infognana, we pride ourselves with 98% accuracy at all times for any document management service we provide. 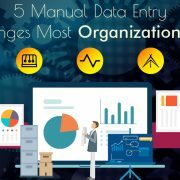 Proficient data management will enable you to digitize, organize, store and manage your data across multiple platforms. This way, it is a lot easier for you to retrieve any document as it will be filed and indexed in a proper manner making it readily available for you at any time. At Infognana, we can make things much simpler for you by uploading all your documents on cloud servers where you can have easy access to it. 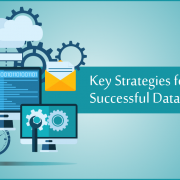 Last but not the least, outsourcing your data is always going to be more cost-effective for your business. With our competitive prices, we assure the best quality services in the industry. You can save on infrastructure expenses, employee salaries, new equipment and other set-up costs when you outsource data entry services.